Your pet is a part of your family, and it’s important to protect all members of your family from outside threats. Just as mosquitoes, ticks, and other pests prove a danger to humans, they can do just as much harm to your four-legged friends. Protect your pets from pests by learning about their threats and how to prevent them. Lyme disease, anaplasmosis, ehrlichiosis, and tick paralysis. If your pet comes in contact with ticks, these are all real outcomes your pet may face. Ticks are especially dangerous to pets because owners don’t always realize they’ve been affected until symptoms become severe. This means prevention is key in protecting your pet from ticks, and here are some helpful tips. Have your pet wear at tick collar. Be sure to take your pet to the vet for an annual checkup. Thoroughly and regularly inspect your pet for ticks, especially after spending time outdoors. Minimize the risk of ticks in your yard by keeping your grass cut low, weeding, and removing debris from your yard. Talk with a pest control company about lawn tick treatments for the best chance of keeping ticks out of your yard. If you find a tick, remove it immediately with forceps or tweezers. Grab on, or just behind, the mouthparts and pull slowly so you don’t leave any part in the skin. Ticks are hard to crush, so flush it down the toilet, or wrap it completely in a tissue and throw it in a closed trash can. Remember to wash your hands after you’ve removed the tick. 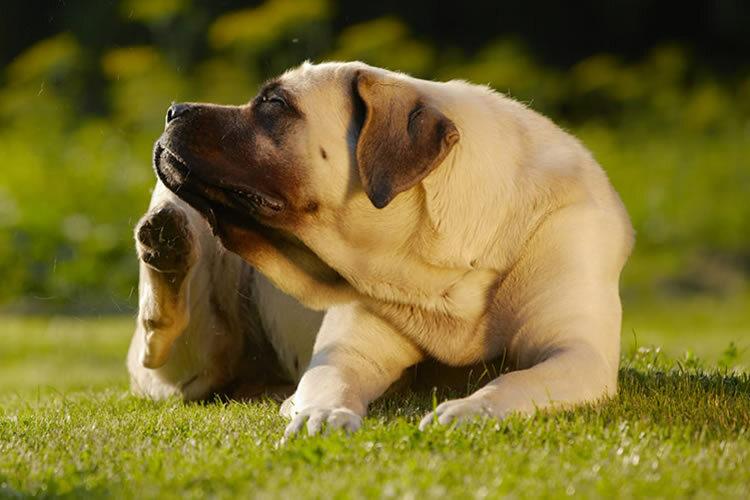 Fleas are more than just a nuisance. In addition to causing itching, flea saliva can also cause dermatitis and anemia. Fleas also carry the larvae of tapeworms, and tapeworms can enter the digestive stream if your pet ingests them while grooming. Not only that, but sensitive pets sometimes experience hair loss and secondary skin infections. Plus, fleas don’t mind going after humans either, and they like to get cozy in your furniture and bedding. Flea problems can multiply at rapid speed, so be sure you prevent them from joining your family by doing the following things. Giving your pet a bath regularly. If your dog has wrinkles or loose facial skin, he’ll need extra scrubbing. Washing your pet’s bedding and toys regularly. Vacuuming your carpet, floors, and furniture frequently. Get rid of standing water in your yard – check children’s toys, flower pots, birdbaths, and downspouts. Repair tears and holes in your screens. Don’t let your pet outside at dawn or dusk, when mosquitoes are most active. Talk with a pest control company about solutions for mosquitoes in your area. Keeping your pet’s food sealed and out of reach of rodents. Take your pet to the vet if you know you have a problem with mice or rats. Hire a pest control company to eliminate rodents from your home completely. Your pet can’t verbally thank you, but it will still appreciate the work you do to keep it happy, healthy, and free from pests.